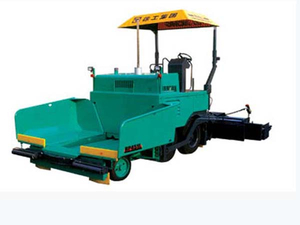 RP452L asphalt concrete paver is the first full hydraulic compact type tyre asphalt concrete paver. It adopts full hydraulic drive and automatic electro-hydraulic control, featuring advanced technology and reliable performance. The minimum width of the machine is 2 meters, which is the smallest among homemade products. It is flexible and has wide applications. The rear 4WD technology effectively improves the driving force of the machine. The ergonomic design makes it simple and convenient to operate and maintain. Thus the product has high performance/price ratio. RP451L paver can be widely used in the construction of highways, streets, country roads, expressways and the road maintenance work. It can effectively improve the flatness and compactness of the road surface. • Compact structure, flexible control.